The Penelope Pleated Camisole PDF Pattern is perfect for any occasion as it can be made in fabrics as dressy as silk or charmeuse or as comfortable as batiste and rayon challis. My personal favorite is rayon challis! The top front neckline is pleated with several pleats and finished with bias tape. The middle waist is gathered with an elastic casing to give a great silhouette. The back neckline is pleated with an inverted box pleat in the center and the hem is finished with a roll hem foot on your sewing machine.The straps are spaghetti style but can be adjusted to your comfort. All of these design features come together to make a flattering yet comfortable camisole! 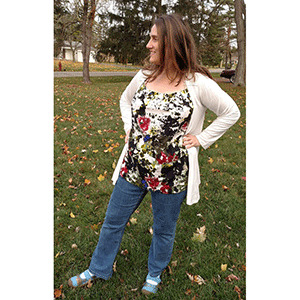 The camisole pairs very nicely with a cardigan and statement necklace. 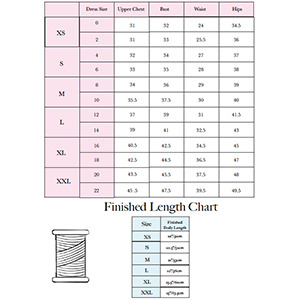 Suggested fabrics are specialty wovens such as cotton lawn, peach skin, and chiffon.